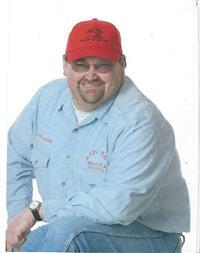 Sam McLeod, the Red Hat man, is a Licensed Real Estate Broker in KY & IL and a Certified Auctioneer in KY, IN, & IL. He has designations from the NAA (Auction Marketing Institute), the CAI (Certified Auctioneer Institute), AARE (Accredited Auctioneer of Real Estate), and the CES (Certified Estate Specialist). Red Hat has 30 years experience in the auction industries of real estate and personal property. His previous experience includes 25 years farming in corn, soybean, cattle, & hogs, 14 years experience as a general contractor and Agricultural Related Grain Storage. He also served as an elected official of the Union County Fiscal Court for 21 years. Red Hat is involved in everything Union County. He is a member of Morganfield Christian Church, Dekoven Lodge, Union County Lions, Union County relay For Life and volunteers for many other civic and religious organizations. Call Red Hat today.... We'll always give a little more than you expected. Bundy McLeod comes to Red Hat Realty and Auction with plenty of skills and experience to help with marketing your property. He is an Auctioneer as well as a Realtor in KY & IL. Whether it is private or at an auction, Bundy will be there to help you achieve maximum results. He is a memeber of National Association of Realtors, Kentucky Association of Realtors and Henderson Audubon Board of Realtors. Bundy and his wife Amy reside in the "Y" community of Union County. Amy is a CSR #1 at Kentucky Utilities. He is a Kentucky Master Logger, Mason of Dekoven Lodge and volunteers with several other community charities. His special interest include horses, livestock and primitive collectibles. Contact Bundy for all your real estate and auction needs. Keith Lovell is a lifelong resident of Union County. He is involved in many activities in the community such as 4-H, rodeos, and team roping. He is a licensed realtor in KY. In addition, he is a licensed auctioneer in KY, IL, and IN. He is a member of the National Association of Realtors, Kentucky Association of Realtors and Henderson Audubon Board of Realtors. He and his wife, Leanett, reside at the "Y" community. Leanett is employed as a school social worker for the Carmi-White County School District in Carmi, Illinois. Contact Keith if you are interested in purchasing or selling real estate. Also, give Keith the opportunity to book your auction, whether it is an estate sale, livestock, or antiques, Keith can sell it! 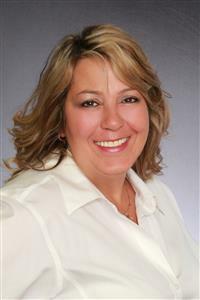 Karol McLeod-Brisby is a Licensed Real Estate Associate Broker and Licensed Apprentice Auctioneer. She has 15 years in the real estate industry. She is a member of National Association of Realtors, Kentucky Association of Realtors, and Henderson Audubon Board of Realtors. Karol resides with her Union County native husband, Chad Brisby and her son Mac. Chad is an underground electrician and mechanic for Peabody Energy. She is very active in American Cancer Society and many other charitable organizations around the county. She is an avid crossfitter and enjoys riding motorcycles. John Mark is a Union County native. He graduated UCHS in 1983. John Mark graduated from University of Kentucky with a B.S. in Agriculture. After college he returned to his Union County home and continued on the family farm where he still resides. He is a Deacon at Henshaw Christian Church, Member of Gideon International, Chairman of Union County Extension, Council Director of Union County Cattlemen, Director of Ohio Valley Analysis Group and a Member of the Union County Fair Board. Call John Mark today for all your auction needs.